From small start-ups to massive corporations, fast, efficient internet connectivity is undeniably a top priority. And, in the current market, the best internet connectivity solution is business fibre. If you’re still undecided about installing business fibre, then here are a few reasons to convince you why you should take the plunge in your office space. Whether you’re an office space developer or a tenant in an office space, business fibre is key to happy clients. With modern storage solutions generally cloud-based – a storage win for smaller office spaces – it’s important for offices to offer employees quick, uninhibited access to the cloud. With fibre, the symmetrical – and incredibly fast – upload and download speeds mean no latency issues. For the office, this results in a smoother work flow and happier, more productive employees. With the copper wire cabling, the sending and receiving of increasing levels of data internationally tended to result in one thing – a bottleneck. 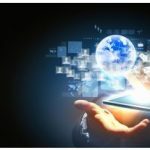 As businesses come to rely on the digital transfer of information more and more, this will only become an even bigger office-based dilemma. But not with fibre. The enhanced speeds make bottlenecks a thing of the past. 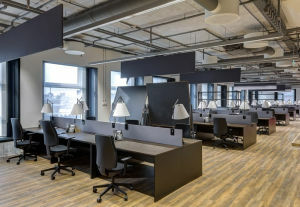 Once again, the enhanced speeds offered by fibre cables are beneficial for the office space…this time for telephone connectivity. The superior speed makes for crystal clear telecommunications and video conferencing, at a lower rate than offered by traditional copper cabling. Another benefit for office spaces is that, if there are plans to extend, the scalability of fibre allows for such growth. Physical safety and cybersecurity are both realities with fibre in office spaces. Because fibre optic cables are light-based, they are less of a fire hazard than competing connections. Fibre networks also allow for centralisation of electronics and hardware, saving on valuable office space. With regards to cybersecurity, fibre is also the prime option. 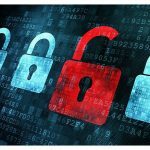 They are almost impossible to tap and, if there is interference, the entire system will fail, meaning enhanced security for businesses and clients. When it comes down to it, reliability in an internet service is top priority for any office, and this means you have to consider fibre optics. Where copper cables are susceptible to electromagnetic interference, radio-frequency interference, physical damage or theft, fibre optic is a glass connection which can withstand these issues. Fibre is also less susceptible to temperature changes and can even be submerged in water with no issues. As fibre becomes more commonplace countrywide, the installation, equipment, components and running costs have decreased substantially. While the initial changeover to fibre will require some financial outlay, this is quickly absorbed by the enhanced speed and reliability, as well as diminished networking hardware, meaning long-term savings. With fibre being created out of glass cables, there is no further need for copper so less demand on copper deposits. Overall, a more sustainable option for office spaces! 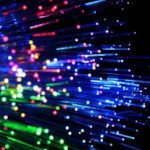 There are a number of fibre optic suppliers, but it’s important to do some research before settling with one. Discuss what packages are available and the amount of data that will be needed for your particular office space. It’s also important to discuss elements such as costs related to any repairs or increasing the number of fibre cables if you’re looking to expand.